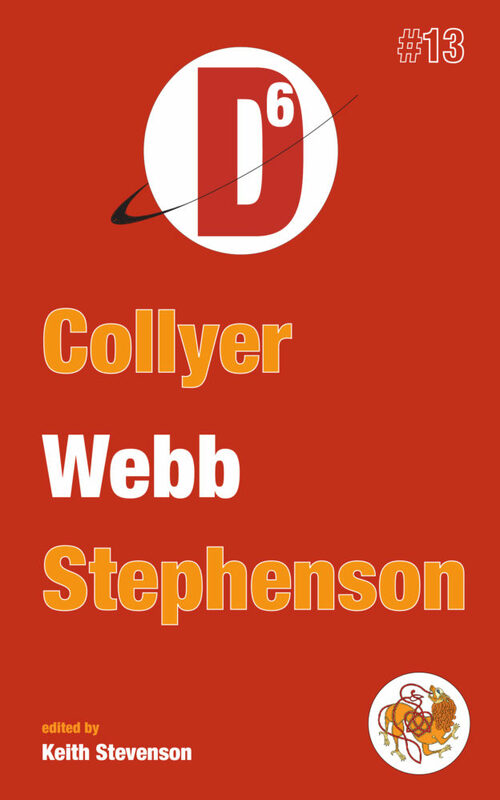 “The Reclaimers”, Mark Webb, in Dimension6 Issue #13, Coeur de Lion, April 2018. You can go and read Issue 13 for free, or invest the grand sum of $1 to purchase the annual collection from Amazon and support Coeur de Lion and their excellent work on the Dimension6 publication. Regardless of whether you are interesting in my novella, there are so many excellent Australian authors and works out there, I’m sure you would be able to find many fantastic works to nominate. Get nominating! Maybe you fear ghosts. They have, after all, been at the centre of a lot of frightening fiction over the years, insubstantial wraiths hell bent on destruction, revenge or mischief. I think being scared witless by the thought of a supernatural spirit with a single minded goal to wreck havoc on your life is a perfectly human, even rational, response to a disturbing situation. But that’s not why I worry about ghosts. Maybe the divulging of secrets concerns you. The potential for ghosts to gather information both during and after their lifetime is extensive. The idea that some intelligence is invisibly watching what you do is understandably worrisome. Think of your most secret shame. The thing you would never admit to, sometimes even to yourself. The ghosts know. They may tell, and in telling bring cascading waves of unbearable embarrassment down upon you. Perhaps your concerns are more specific, like a nagging sense of concern about how they manifest clothes. If ghosts are the souls of women and men made manifest after death, then where do the clothes come from? Does clothing have a spirit? And, perhaps more disturbingly, who picks the outfits? The clothes they died in? The clothes they were buried in? Their favourite outfit from high school? Can they change clothes? And if the clothes are malleable, why not other features? Can a women who died in her 80s come back with the look she sported in her 20s? Can a baby extrapolate what they would have looked like if they’d had the chance to grow up? Perhaps the defiance of natural laws unsettles you. Concerns about the application of physics to ghosts have been well documented. Many people cannot abide the thought of a ghost’s persistent failure to sink through the ground and fall towards the centre of the earth, even though they have no trouble walking through walls. Perhaps gravity has no pull on their insubstantial form, but why not? Perhaps they can move at a normal human pace through force of sheer will, but what substance does that will work on? And if they can’t interact with the physical world, how do they disturb air molecules to make all the moaning sounds? I worry about ghosts, but maybe it is more accurate to say that I worry for ghosts. I worry that if they are real, and if they can be perceived in the physical world, that rather than being exempt from the laws of nature, they might be all too susceptible to them. The Earth hurtles around the Sun. The Sun rockets around the Galaxy even faster. The Galaxy moves in the Universe at such a speed that even if we somehow pooled the collective intelligence of every brain reading this missive we would not truly comprehend it. And with all that momentum, all that sheer velocity, I worry that in the exact moment that a spirit is released from its physical form, that insubstantial phantom is immediately left behind. The Earth hurtles on, spiralling and spinning its way across the Universe. And dotted like spectral tear drops highlighting our passage sit the ghosts. Each one alone, separated by incomprehensible distances. Each one with no way to move, stuck at the exact point in space where they died. Perhaps every now and again two people die simultaneously while lying right next to each other and have the dubious comfort of an eternity with soundless company in a frozen vacuum. And maybe occasionally some of them fleetingly impact with other stellar phenomena, a brief moment of colour and movement as an object crosses the Earth’s long deserted path and then vanishes. But the rest of them. Oh, the rest of them. Poor bastards, scattered like breadcrumbs marking our trail through the Universe, alone, scared and most likely rapidly driven completely insane. I worry about ghosts. I worry for ghosts. No wonder the ones that work out how to grab hold and stay with us are so cranky. 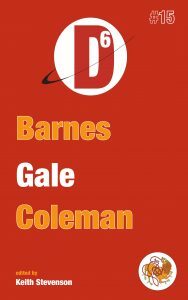 I’m pleased to say that this years collection, the Dimension6 Annual Collection 2018, is out now for the low, low price of $0.99. You can buy it directly from the Coeur de Lion website, or from Amazon etc depending on your preference (links available to various ebook retailers at the website). I am very proud to be part of this collection. The Reclaimers is my first novella length work, and it is a source of great pride to have it published with such a fantastic collection of wonderful stories. 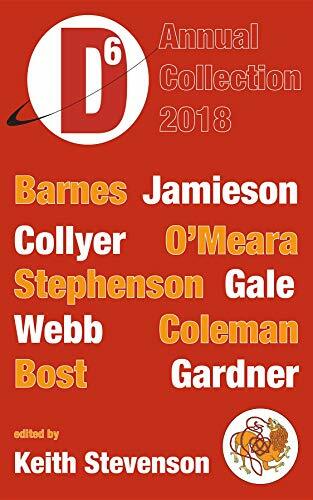 You won’t find much better value than the Dimension6 Annual Collection 2018. I’ve often wondered that if aliens had the technological wherewithal to travel the stars, why they wouldn’t just terraform another planet in our solar system, rather they take the risk of tangling with a sentient species and its associated diseases. That wondering found its way into this very short story. Rignof watched in unfeigned awe as data from the visual spectrum scanners brought the first images from the Destination up on the screen. Twenty generations of Aarnak had been born, lived and died on the Desolate Hope and finally the giant seed ship was about to reach the end of its long journey. Rignof’s fingers danced over the input device, trying to bring the picture into sharper relief. There were eight planets in this solar system all told, as well as a vast array of smaller bodies. There was even a dwarf planet, a planetary phenomenon that had been theorised but never before seen. The best scientists on Aarn had determined that it was extremely likely that there would be worlds in the Regersek zone of this messy system, capable of sustaining Aarnak life. They had not been wrong. While gas giants dominated the outer solar system, there were four inner planets that were candidates for colonisation. The innermost planet was little more than a molten rock – too close to the sun to be viable for any form of life. The fourth planet was a dry, barren world, smaller than the remaining two inner planets and with gravity only a third of the Aarn home world. The aarnaforming technology contained in the lower reaches of the Desolate Hope combined with the resources to be found across this solar system would be able to convert the planet into an acceptable world, but it would be too chilly for the cold-blooded Aarn when there were other options. The third planet teamed with life. It was closest in size and gravity to Aarn and would require a lot less modification than the other worlds, but the effort of subduing an entire planet, especially one with an intelligent species on it, was too high for their limited resources. The alien inhabitant’s technological level was not great, but they had split the atom and visited their moon. They may look like furry grozts, but a grozt with a bomb is still dangerous for all that it is stupid. Besides, the germs! Who the hell would want to live with the ever-present risk of a deadly alien flu? But the second planet – oh, the second planet was perfect. A little too close to this new sun, but nothing that a well placed array of solar mirrors couldn’t overcome. Completely barren, so the introduction of Aarn native species could go ahead unhindered by alien biology once the initial atmospheric modifications had been made, the surface cooled and the planet’s magnetic field jump-started. It even already had sulfuric acid in the air! This planet could be an Aarnian paradise. Rignof turned off the display and sighed in satisfaction. Barring misadventure he would live to walk on the surface of this marvellous new world, although he himself would be old and scaleless by the time it happened. He wondered how their soon-to-be neighbours would react to sharing their solar system. They shouldn’t complain. It wasn’t like they were using the planet. 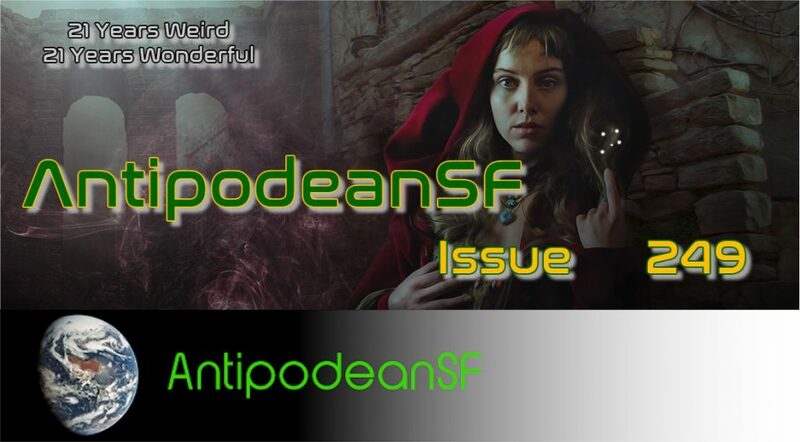 ‘The Regersek Zone’ was originally published in Antipodean SF, in issue 184 (October 2013). It is also available in the free collection of my published flash fiction and short stories A Flash in the Pan?. See my bibliography for more details about my published work.